Seen through the lens of the life and work of Alfred Stieglitz, the program recreates the exciting early years of modern art and photography in America. Photographer, gallery director, publisher of “Camera Work,” Stieglitz pioneered the introduction of the European avant-garde art to America in his famous New York “291” gallery while championing the recognition of photography as an art form. From his early pictures shot in Italy and Germany, through his pioneering photographs in the streets of New York and his controversial, famed multi-portrait of Georgia O’Keeffe to the late, ineffable “Cloud Series”, Stieglitz’s own magnificent photographs richly document the story. His photographs were a powerful weapon in the struggle to achieve for photography, the status of art, but the role of the beautiful seminal work of other great photographers like Edward Steichen and the members of the famous Photo Secession is given appropriate recognition. The film includes revealing interviews with Steiglitz’s grandniece Sue Davidson Lowe regarding Stieglitz and his wife O’Keeffe, comments by Joanna Steichen, wife of Edward Steichen and penetrating observations by notable historians in the worlds of art and photography including: Wanda Corn, Barbara Lynes, Sarah Greenough, Elizabeth Hutton Turner and cultural historians Thomas Bender, Allan Trachtenberg and writer Richard Whelan. 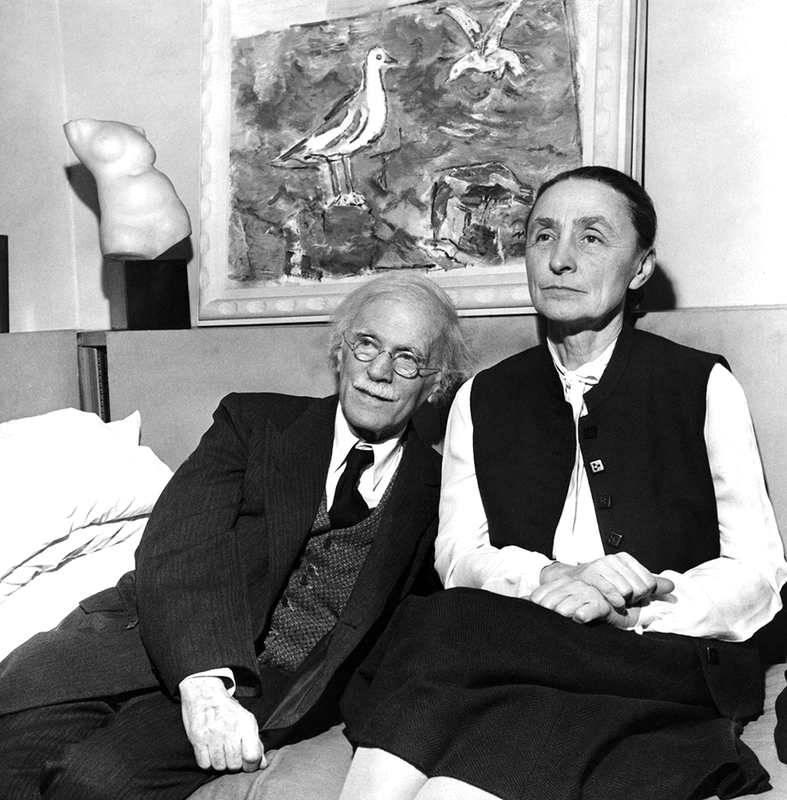 In a never-before seen interview filmed by Perry Miller Adato in 1980, at the artist’s request, Georgia O’Keeffe speaks frankly and with humor about the many facets of Stieglitz’s life, his career, his difficult character, and their complex marriage which endured until his death in 1946. “Alfred Stieglitz almost single-handedly invented modern photography. Before Stieglitz, photography had been an amateur pastime, a commercial business and a sometime scientific tool. After him, it was an art as well. He was a rebel with a cause, but the cause kept changing too. In the 1890’s, when American photography was sunk in Victorian complacency, he championed the Photo –Secessionists, an arty group of pictorial photographs whose gauzy, soft focus images coyly imitated the look of painting. He stopped showing their pictures in his little gallery at 291 Fifth Ave in Manhattan and (to their great consternation) starting showing European moderns like Rodin, Picasso and Matisse instead. The critics heaped abuse on him and his new proteges, but he persevered…. And so it went throughout his life. He was as adept at snatching defeat from the jaws of victory as vice versa. Nor were Stieglitz’s domestic affairs any less turbulent than his public persona. …The PBS biography – which includes charming archival footage of turn-of–the century New York as well as an interview with O’Keeffe conducted shortly before her death in 1986 in which she recalls the great man with a mixture of tenderness and, after all these years, a still barely concealed rage- makes no attempt to gloss over Stieglitz’s human foibles and failures. John Marin, Hunter in the Adirondacks. c. 2001 President and Fellows of Harvard College. Mary Sizler Bequest (by exchange) and Purchase. Kuhn, Heinrich. Alfred Steiglitz, Faith Graflex. E.d.